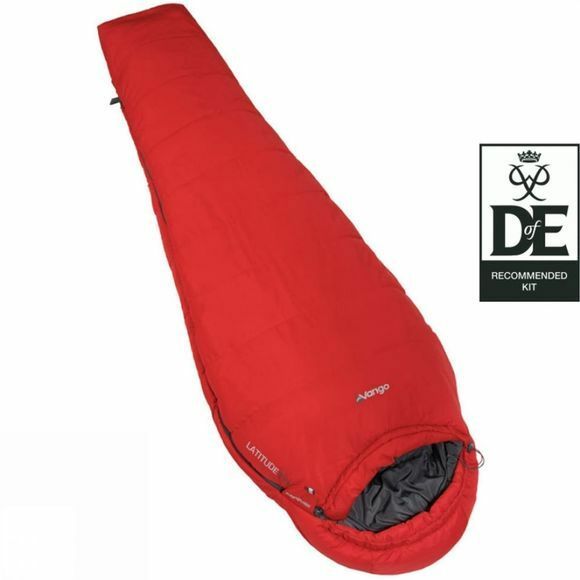 The Latitude 200 Sleeping Bag from Vango is a warm and durable sleeping bag for exploring the outdoors during summer. It features an off-set double layer construction of synthetic insulation to ensure minimal cold spots while the Thermal Embrace system utilises elasticated thread sewn into the inner to ensure it wraps around you efficiently and enhances the loft of the insulation. It is a great option for family camping, festivals and adventures with friends.